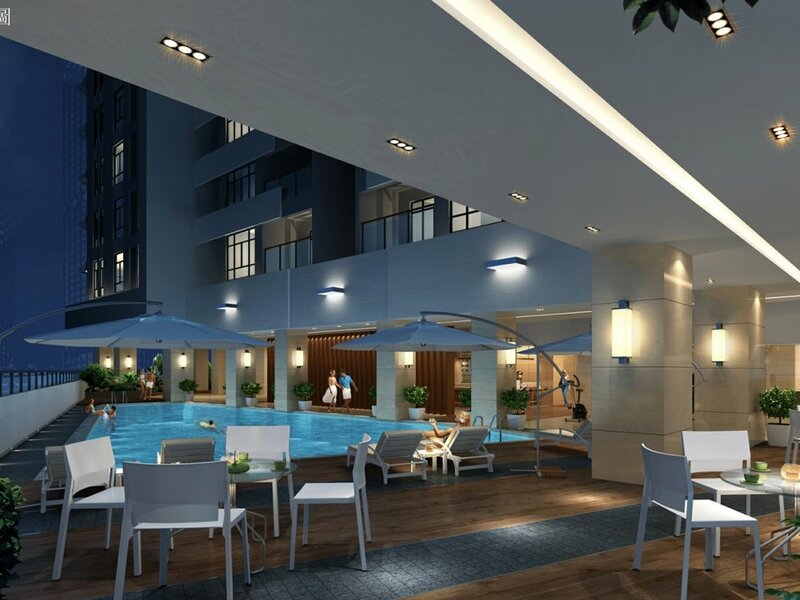 Sky31 is a world-class high-end condominium located in prime residential Toul Kork district of Phnom Penh. So far, it is the only luxurious apartment project in the city center that integrates residential, F&B, retails outlets and recreational uses all in one complex. The ground-breaking new height of 31 stories has also redefined the landmark in the Toul Kork district. This luxurious Sky31 towering landmark residence comes with full and premium facilities for your indulgence. Sky31 epitomises the paragon of life with its attributes of value, scarcity and capital appreciation. A mere 20-minutes ride to the airport, Sky31 is situated on the prime site formerly occupied by the Australian High Commission, offering a rare opportunity for the savvy investor to own a piece of premium real estate in Phnom Penh’s historic Toul Kork district. Strategically anchored between Phnom Penh old town and the new satellite town. Sky31 is nestled amidst the tranquillity of luxury villas, embassies and renowned international schools. Toul Kork is the preferred up-market residential district in Phnom Penh, where well-heeled expatriates and locals choose to live and play. This luxurious Sky31 towering landmark residence comes with full and premium facilities, which includes 24-hour property management, offering you customised 360-Degree “Butler”-style services such as daily cleaning, periodic horticultural care and other maintenance services; Clubhouse, Supermarket, Swimming Pool and Viewing Deck. The spacious clubhouse is custom-build with lounge and bar, exclusively catered to homeowners who are encouraged to rest and relax in the pleasant ambience. With the mall directly located at the lower levels of the building, residents have direct access to many amenities, such as retail shops, restaurants, supermarket, banks, clinic, university, international schools, golf clubs and more. Major buildings surrounding Sky31 include The Central Market, Sonya Shopping Center, Raffles Hotel Le Royal, Royal University of Phnom Penh, Toul Kork Primary School, Beijing International Academy and many more quality amenities. A brand new shopping mall, Parkson Center, is due to open for business by the end of 2015. This is the second foreign-own-and-run shopping centre in Cambodia, with a massive floor area, spread over 5 levels. Parkson Center is just one kilometre away from Sky31, where you could enjoy one-stop services and endless shopping.